Explore The World. Stay Connected. Wow Your Guests. Unwind in the relaxing Vitality Spa or catch a wave on the FlowRider surf simulator. Enjoy a movie night at the new 3D movie theater or shoot hoops on the basketball court. Duty-free shopping, unique dining options, and enhanced staterooms create an unforgettable experience at sea. 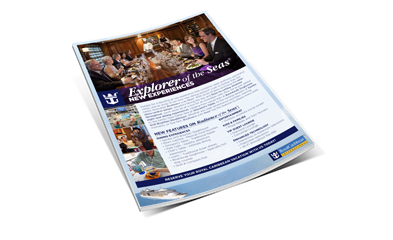 Download our Ship Highlights flyer for more information.